Christmas is here in less than a week time. Time flies so fast and so many things to handle that I find myself haven't got time to get things done for Christmas this year. I am still deciding on what presents to get for the kids, Clet is busy with our front gate renovation, so he hasn't got the time to spare on the Christmas presents this year, luckily I have got crystal to help me on getting some girl's accessories done as gifts, yes, she handmade them, I helped her on the beginning and finishing touches (will post it in my next post). 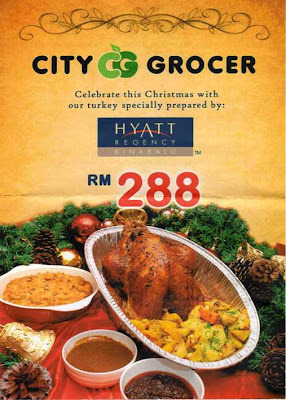 Christmas is not complete without some kind of feast in the celebration. Some may think having turkey is a must in the Christmas menu. If you have no plan to roast your own turkey (which is a lot of work and know hows). 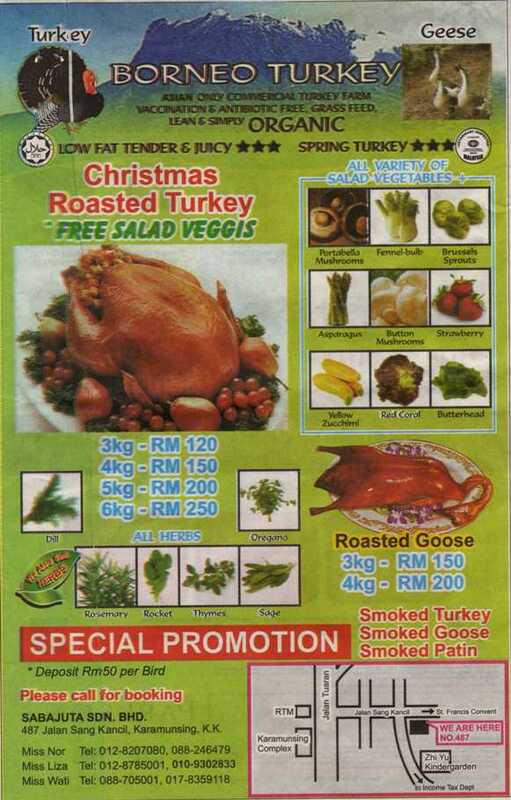 Here are 2 places you could order a cooked/ roasted turkey in Kota Kinabalu, Sabah. 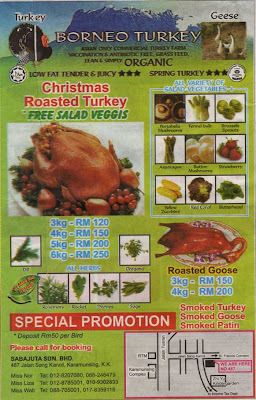 Borneo Turkey is where you could order a cheaper organic turkey, the cheapest is RM120.00 for a 3kg roasted organic turkey with free side salads. My colleague has ordered it last year, she is thinking of ordering it again this year.